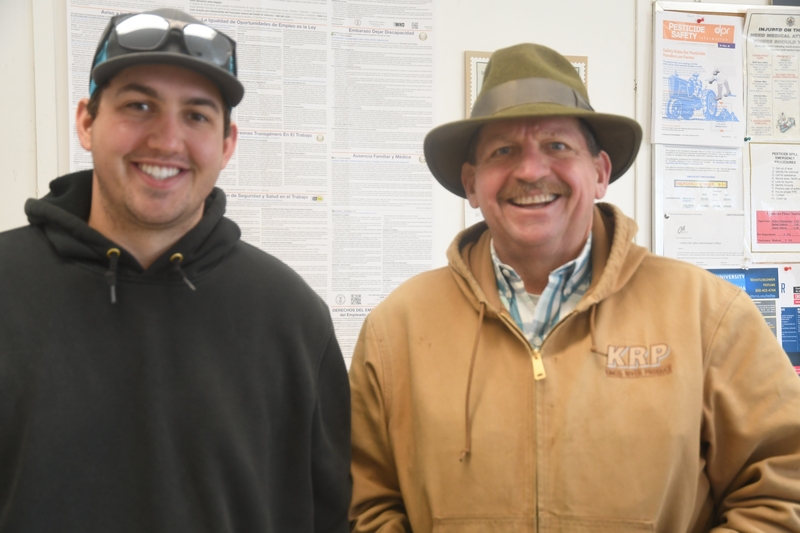 Organic farmers, Steve and Ben Beck of Kings River Produce in Hanford, CA, visit CASI’s NRI Project field in Five Points, CA! Local organic farmers, Steve and Ben Beck of Kings River Produce of Hanford, CA took part in CASI's Friday soil tour open house viewing program at the longstanding NRI Project field in Five Points on February 22nd. The father-son farming team grow a range of organic vegetables at their extensive acreage near Coalinga and adjacent to the Naval Air Station Base in Lemoore. They were keen to exchange ideas for soil care and soil function improvement with CASI's Jeff Mitchell who took them out to see how soils have changed after twenty years of no-till and cover crop management at the NRI site. We have invited the Becks to take part in our CIG organic reduced disturbance project and we look forward to ongoing interactions with them in the future!